Designs drilling programs in accordance with the industry recognizes technical criteria and applicable drilling regulations in order to achieve exploration objectives in a safe and cost effective manner. Works with multidisciplinary professionals to evaluate the commercial viability of the well and monitor progress during drilling. Ensures all routine drilling and cost control reports are accurate, complete and timely. Candidate must possess at least a Bachelor's Degree or Master's Degree majoring in Engineering (Petroleum or Mechanical), or other related technical educations. At least 8 year(s) of working experience in drilling & work over, develop drilling program and supervise in the well site. Preferable having working experience in OFFSHORE. Candidate must possess at least a Bachelor's Degree or Master's Degree / Post Graduate Degree in Accountancy. At least 5 year(s) of working experience as Auditor in the Accounting Firm. Have working experience in Oil and Gas Industry is an advantage. For detailed information & apply online, please refer official source on following link below. 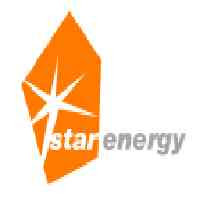 Star Energy, Company Address: Wisma Barito Pacific 8-11th Floor Tower A Jl. Letjen S. Parman Kav 62 - 63, Palmerah - Slipi Jakarta, Industry: Oil / Gas / Petroleum. All applications will be treated confidentially.